Unbelievably, my kids are down to 10 school days left for this year! 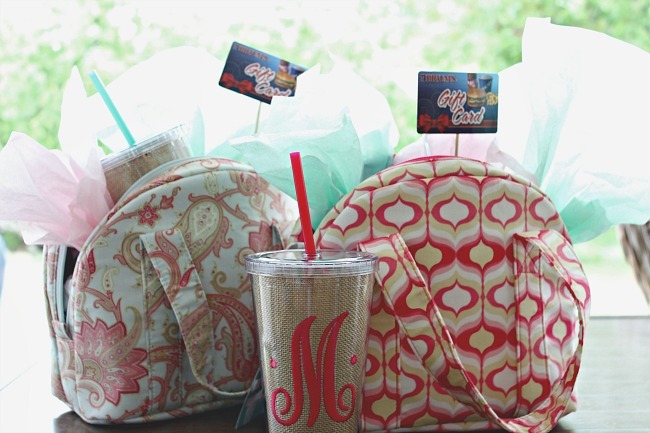 As we near the close of another school year, I thought I'd share a few DIY teacher gift ideas if you're looking for something to put together for your crew. 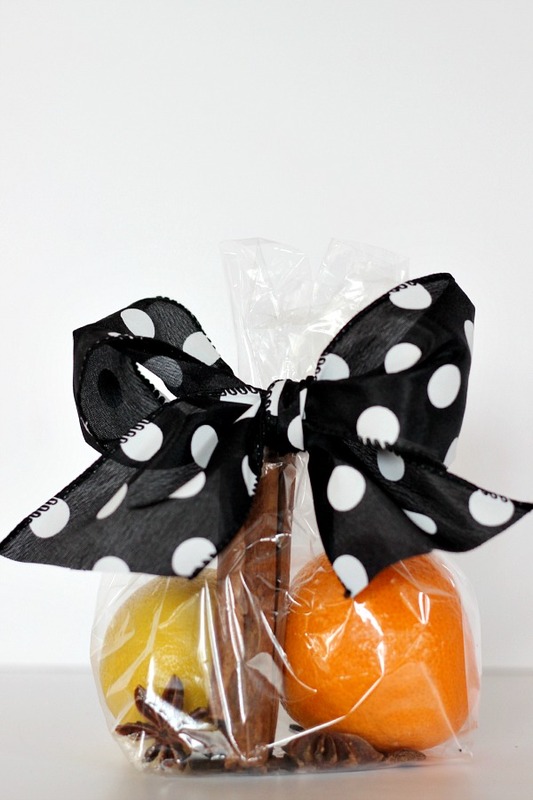 I prefer to give teachers gifts that they can actually use and enjoy in their home or are geared to their interests or personality. Since I WAS a teacher, I can say that I definitely loved receiving those types of gifts more than the typical "teachery" gifts (notepads-or anything- with apples on them, things for the classroom, etc.). One thing I always loved receiving from my students was a Christmas ornament. Some of my favorites still hang on my tree to this day and I can remember each child who gave me those ornaments. These mirrored starburst ornaments would be a fun activity that your child can help with, and a set of 6 or so would make a lovely gift. Your child could even get a little more creative with painting the wood if desired. 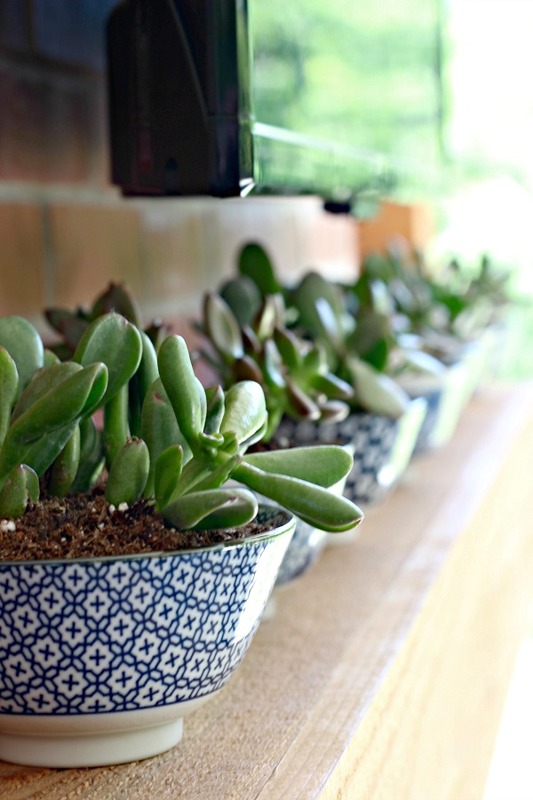 Pick up a succulent and plant it in a pretty bowl. Similar bowls are easy to find for just a few dollars at World Market, Target, Walmart, Marshalls, TJ Maxx, or Homegoods. I also love to use teacups and saucers for little gifts like this- load up on random sets at the thrift store and you're all set! I usually make up these potpourri bags around the holidays, but who doesn't want their home to smell lovely all year long? They would be cute to use as a base to tie a gift card to as well. 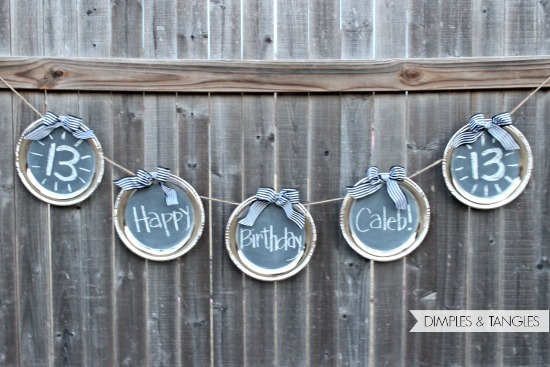 This cute little chalkboard garland could be used at home or in the classroom if the teacher wishes. It only costs a few dollars and a little bit of time to make. 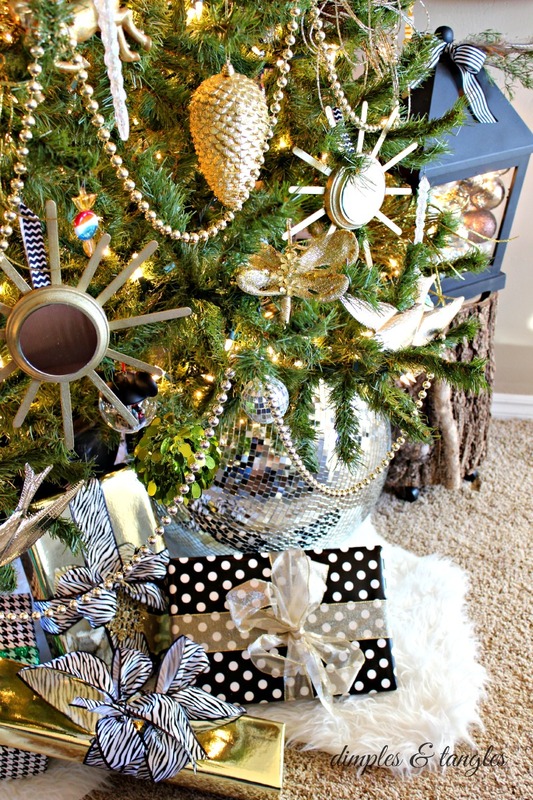 It's fun to personalize for celebrating holidays or birthdays. 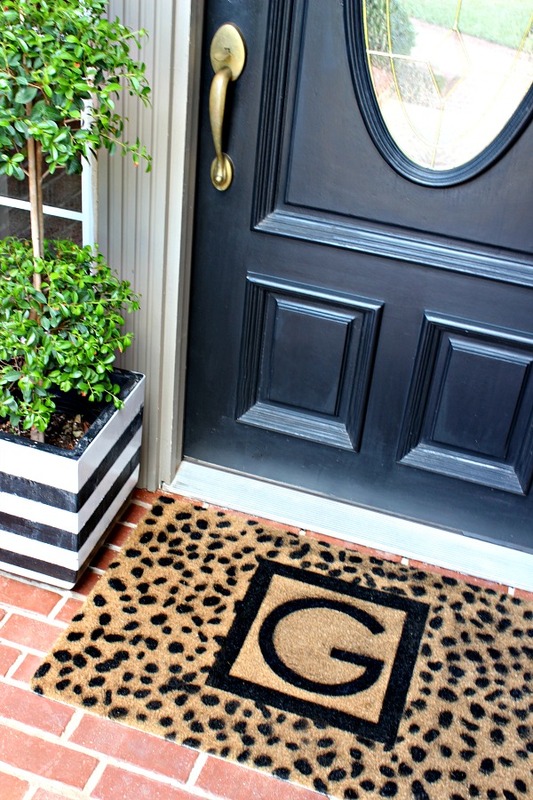 This stenciled door mat is perfect for your teacher's porch! See a simpler version here for an even quicker project. 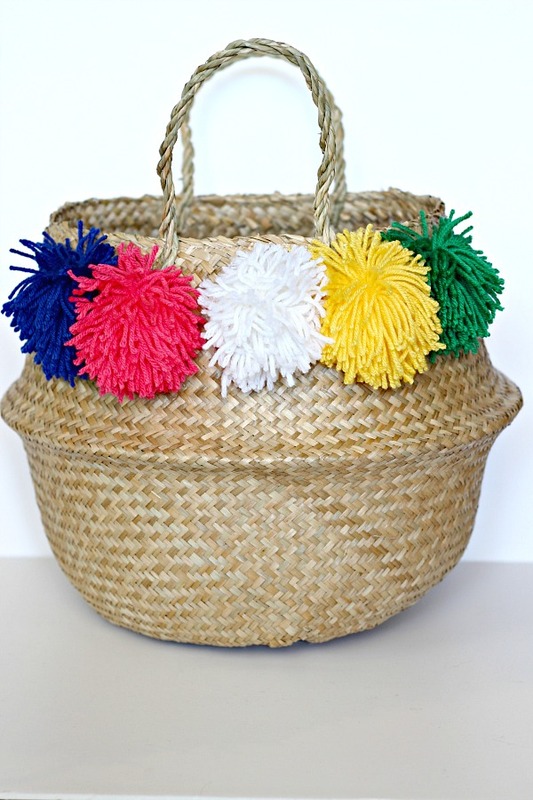 Who wouldn't like this cute pom pom basket? Pom poms are so easy to make (tutorial here) and you could add them to any size or style of basket. Lastly, I mentioned the succulents, but I also love giving a live plant, such as a fern, pretty hanging basket, or even a topiary for the teacher to brighten up their porch or patio. I hope these ideas get your creative wheels turning for your teacher gifts this year! Maybe I missed it, but where did you find the cute monogrammed tumbler? I must have one!